Unlike other states, Texas does not have a cohesive, coordinated set of laws that deal with Lemon Vehicles. In fact, Lemon Law in Texas usually refers to an administrative proceeding of the Texas Department of Transportation. That process is flawed and often ineffective because of the rules of the proceeding. In order to pursue a claim for a defective vehicle there are a number of other options. Deceptive Trade Practices Act. The Texas Deceptive Trade Practices Act (DTPA) is an effective remedy for many consumer disputes involving unfair, misleading and deceptive acts and practices for the purchase or lease of goods or services. There is a value limit of $100,000 on personal property. Consumer vehicles rarely exceed this price so the DTPA is an effective remedy to deal with a Texas Lemon. Texas Business and Commerce Code. The Texas Business and Commerce Code (the Texas version of the Uniform Commercial Code) provides remedies for the buyer of goods. It also deals with warranties. Some provisions of this law are very effective in dealing with Lemon vehicles. Magnuson Moss Warranty Act. This federal law deals with the warranty enforcement of consumer products, including motor vehicles. Federal Trade Commission Preservation of Claims Rule. This federal law is an effective tool to use in conjunction with a Lender who purchased a Retail Installmetn Contract that financed a defective vehicle. Breach of Contract. In some lemon situations there may be a basic breach of contract. The use of these laws can create an effective substitute for a comprehensive Lemon Law statute but the experience and skill needed to effectively wield them is much more difficult. Any lawyer can transcribe a letter that parrots your complaints. And any lawyer may be able to get a cash offer for you. But is the amount enough to take care of the problem? What happens if the vehicle breaks down next month or year? What are your damages? What will it take to get them in a trial or arbitration? Is the dealer at fault? Among the dealer, lender and manufacturer, who is responsible for your problem? 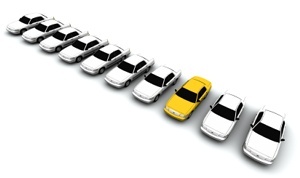 Must the manufacturer/dealer/lender buy or replace your vehicle? If so, how much should they pay? What about the loan on the vehicle? What happens if I do not pay for the loan? Documenting the problem. In many situations the Lemon vehicle is documented by multiple repair orders from Manufacturer affiliated service departments. But if your problem is one that the local service department cannot find, you will learn to hate the phrase "Could not Duplicate Customer Concern." If you have a problem like this you may want to look at the section that gives you some tips on how to document the Problem that Can't Be Found. https://consumerfraudalert.com/default.aspx/MenuItemID/255.htm. HOW LONG DO I HAVE TO PURSUE THE PROBLEM? Or "How old is too old?" Generally, you should pursue your problem within two years of when you bought the vehicle. In some circumstances you may have two years since you became aware of the problem. (see the Lemon Complaint letter on this website for a sample letter.) If you are aware of a problem with your vehicle, promptly and conscientiously attempt to resolve the problem yourself. If you cannot do so, find some help and do so sooner rather than later. If your vehicle is out of warranty but you had similar repairs while the vehicle was IN warranty you may still have a remedy. If your vehicle exhibits a problem that is common to all other vehicles of that same make, model, or type the time may be extended. The bottom line is that you should not give up until you have visited with an attorney who can tell you if you have a claim and whether it is economically viable. 1. Manufacturer/Dealer/ Lender buys vehicle. (Title Transfer Buyback). This is the REAL lemon remedy. For true Lemons the Dealer/Manufacturer/Lender may buy your vehicle for the amount you paid less a factor for your use of the vehicle. Lemon law formulas are often used which return to you the full purchase price, tax, title, license and even the price of some installed accessories. An amount is often deducted for your use of the vehicle, usually based upon miles driven. If the vehicle is so defective or tainted that you cannot trade or sell it for a reasonable price this is the remedy you should seek. It is also the most difficult remedy to obtain. 2. Effective Buyback. This is a cash settlement that pays enough to the consumer to compensate for the reduced value of the vehicle so that it can be economically traded. This allows the consumer to achieve the same outcome as a Manufacturer/Dealer Lender Buyback. 3. Cash Settlement. The most common settlement. It will often compensate for repairs that were paid by the owner but that should have been paid by warranty, and some factor for a rental car or loss of use. Incidental expenses such as meals or lodging if stranded and a modest sum for customer goodwill are also common. 4. Lender Forgiveness. Some times a vehicle is so defective that it cannot be driven. Most consumers cannot afford to pay for a vehicle that they cannot drive. If a lender demands to be paid it will probably repossess the vehicle and then sell the vehicle. The vehicle will almost certainly be sold for less than the loan balance. That difference is a deficiency debt which the Lender could choose to collect. The Lender will also likely report the delinquency, charge off and repossession to Credit Reporting Agencies creating even more headaches for the consumer. These problems can be resolved but you need a skilled and experience lawyer to do this. 5. Extended Warranty. Sometimes a Dealer/Manufacturer/Lender will offer an extended service contract or warranty as part of a settlement proposal, particularly if the consumer is complaining about shaken confidence in the vehicle or is concerned about the cost of future repairs. This is usually not satisfactory if it is the only offer but may be an integral part of an overall satisfactory solution. 6. Attorney's Fees. An amount may also be recovered for attorney's fees for the consumer. 1. Opportunity to Cure. This is the chance for the MANUFACTURER to fix the problem. For instance, you must notify SUV Motor Company in Detroit about the problems with your vehicle and allow them the CHANCE to fix the vehicle. For an extreme example, the twenty times that you took the vehicle to the SUV dealer do not count as you still have to notify the manufacturer about the problem and give the Manufacturer a 21st chance to fix the vehicle before you can succeed at a Lemon Law Hearing. Rest assured that if you fail to provide this notice the Manufacturer will demand that it be given the chance to repair your vehicle and/or it may ask that your Lemon Law case be dismissed. 2. Demonstrate the Problem to a Lemon Law Judge. The critical part of a Lemon Law hearing is the test drive of the vehicle by the Administrative Judge. Although it is not stated in the Rules, it has been my experience that if the problem cannot be demonstrated to the Judge in the test drive you are almost assured to lose. Intermittent problems (for example computer modules, rough starting and warning lights) are very difficult to demonstrate. Also, if your repair tickets state "No Problem Found", "Cannot Duplicate Customer Concern" or some similar statement, you are facing a very difficult case. Because if the trained technician cannot duplicate your problem at the shop, how will you do so at the hearing? Other types of defects, such as water leaks can be difficult problems. For instance, how do you demonstrate the leak at the Lemon Law hearing on a sunny cloudless day? 3. Perspective. Many consumers don't complain until they reach a certain level of frustration and aggravation. Sometimes, having to face the problem vehicle every day causes an otherwise reasonable person to lose their cool. This may cause that person to explode about the 2 cosmetic flaws of the vehicle and ignore the defective and potentially unsafe engine. Rank your problems and ask a friend to give you feedback because the lack of perspective can contribute to a bad outcome. c) Repair. The Lemon Law Commission can order the Manufacturer to repair the vehicle. Absent a lack of Opportunity to Cure (see above) or a fervent request by the manufacturer to order the repair, this rarely happens. Which is fortunate because almost NO ONE is happy when this happens. d) Monetary Award. The Lemon Law Judge can only order limited monetary damages. These are usually reimbursements for repairs the consumer paid for that should have been covered by warranty, occasional towing or travel charges if stranded, rental car costs, and mailing, phone or delivery expenses related to pursuing the Lemon Law claim. The bottom line is that the Lemon Law works best for a vehicle with low miles and a defect that can be easily demonstrated by the consumer but not fixed by the Manufacturer. You may have a truly defective vehicle that does not fit within this narrow definition.